Fluke South East Asia Pte Ltd, located in Singapore, is a wholly owned subsidiary of Fluke Corporation in Everett, Washington. Our regional office in Singapore and the local offices provide sales, service and support to the countries in Southeast Asia region. 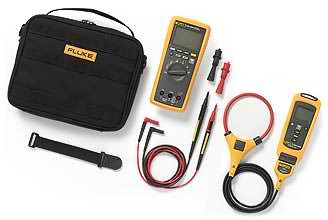 Fluke's line of products consists of Industrial Products, Precision Measurement Products and ITI products. 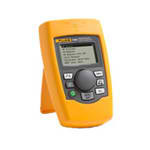 Other Fluke companies include Hart Scientific, Pomona Electronics and Reliable Power Meters (RPM). Fluke South East Asia's Service Center is accredited under the Singapore Accreditation Council - Singapore Laboratory Accreditation Scheme (SAC-SLAS) to ISO/IEC 17025 for specific tests/items within the field of calibration and measurements. The Fluke 709 and 709H mA loop calibrators are designed to save time and produce high-quality results. The 709H adds HART communication and supports a select set of the HART universal and common practice commands. This makes the 709H unique as both an affordable, compact loop calibrator and powerful HART communication tool. A complete wireless measurement system that lets you make primary measurements on your multimeter while simultaneously viewing True-RMS AC current measurements from the remote flexible AC current module. It's everything you want, but until now, never existed. 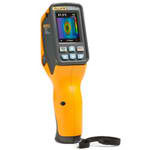 The VT02 Visual IR Thermometer combines the convenience of a spot thermometer with the visual advantage of a thermal imager creating a brand new tool category – a troubleshooting camera with an infrared heat map.